Pets and farm animals, especially in the meat industry, have been infected with extended spectrum ß-lactamase producing (ESBL) gram-negative bacillus. Even though these animals stay in a very close contact to humans the scientific data concerning the actual incidence of the microorganism is insufficient. Hence Austrian researchers carried out a study about the prevalence of ESBL-producing germs in cats and tomcats. Additionally the pets were tested for enterohaemorrhagic Escherichia coli (EHEC). In the study are 61 households included as well as three animal protection shelters, two animal breeders and 13 farms. The households (121 pets) and the farms (107 farm animals) represent the biggest groups. ESBL-producing E. coli bacillus were detected in 12 out of 228 samples (5,3 %). All isolates belong to the E. coli species and were carbapenem-sensitive. But there are resistance to cotrimoxazol, ciproflaxicin and gentamicin. In three out of 228 samples (1,3 %) culture suspensions there are EHEC-toxin detected. But just one out of three samples taken can microbiologically be cultured and determined. 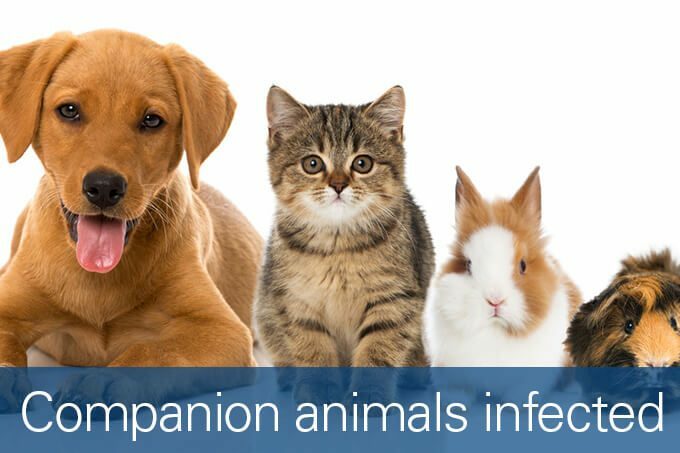 The study has confirmed that only a small number of pets and farm animals are infected with EHEC. Also ESBL-producing bacillus is to be found in animals in small numbers.